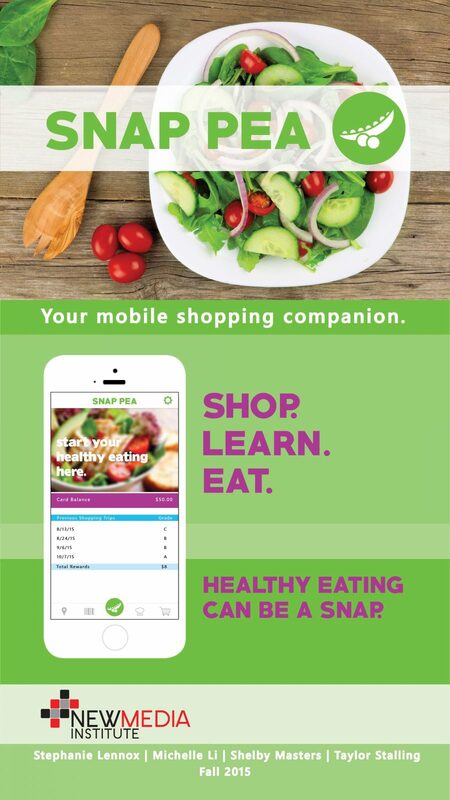 The goal of SNAP Pea is to be an interactive, engaging smartphone app that helps educate qualifying individuals on healthy eating habits. With recipes, store locator, nutrition facts and our shopping cart game those who qualify for federal SNAP food aid will be able to make better food choices for themselves and their families. With the empowering nature of SNAP Pea, users can be educated on their food choices and escape the cycle of obesity plaguing our state. SNAP Pea is a companion to the SNAP federal food program, meant to help educate program recipients.